Session chairs and speakers of the Conference. Dr. Mohammad Naim Yaakub, CPSC Director General hands over CPSC's newest publication to Mej (K) Md. Nor Yusof, Director General, DPE. Slicing of the 38th Anniversary Cake of CPSC with Conference Joint Organizers and MVP Awardees, which symbolizes "living in prosperity together". The 21st century poses great challenges in the education systems, which include rapid globalization, advent of information and communication technology, increasing shift towards knowledge-driven economy, and international and regional competitions. In this view, educators and policy makers are facing several challenges on how to bring reforms in the existing system and prepare young graduates to effectively cope with these changes. Advanced teacher education is thus very important to prepare these educators in facing the changing technological contexts. The inclusive concepts must have far – reaching implications for economic growth, employment, job creation, poverty reduction and sustainable development. As a result, a lot of challenges and issues are emerging for today’s educators. 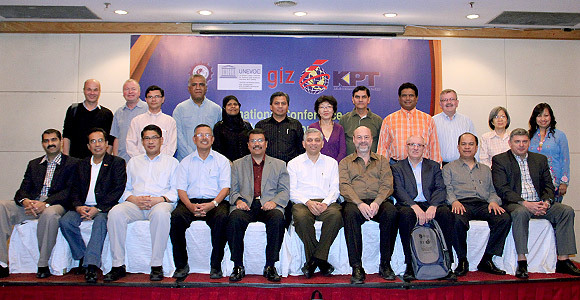 Through this international conference, CPSC and its partners would strive to stimulate efforts and participation in discussions among decision makers, policy implementers, senior administrators, curriculum developers, and academic professionals to build awareness and information on emerging issues and cooperation frameworks for teacher education and development. Through this international conference, CPSC and its partners would strive to stimulate efforts and participation in discussions among decision makers, policy implementers, senior administrators, curriculum developers, and academic professionals to build awareness and information on emerging issues and cooperation frameworks for teacher education and development. Cross-share experiences, best practices and approaches in teacher/lecturer education and development. Invited experts will attend the international conference representing CPSC member countries, prominent TVET experts, national policy makers, curriculum planners and teacher educators, as well as the CPSC Network members including the Asia-Pacific region. The international conference is designed to invite participation of representatives from all the member countries for regional coordination and synergy. 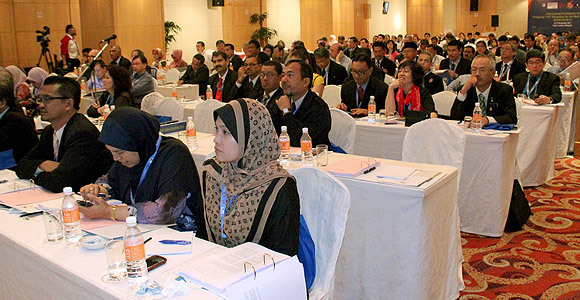 The audience of the workshop includes policy makers and TVET practitioners, especially within Asia-Pacific region and other relevant individuals and organizations with an interest in teacher education and development in TVET. This wide scope will ensure “TVET Teacher Education and Development” becomes a key part of the agenda to be followed for sustainable TVET. The International Conference will bring together policy makers, senior administrators, decision makers, educators, lecturer/teachers, representatives of NGOs and civil society to exchange and share their experiences, research results, creative ideas, innovations and new initiatives about aspects of teacher/lecturer education and development and discuss practical models, frameworks and best practices including recommendations and solutions adopted.